Digital Surveillance is a leader when it comes to the low voltage network cabling services. 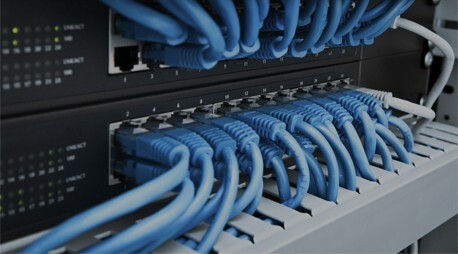 We have Technical expertise in Network Cabling services including fiber optic cabling installation, computer network cabling, home network cabling structured cabling Ethernet cabling Los Angeles and other network cabling solutions are the key strengths of Digital Surveillance. We offer wide range of services other than network cabling services . With 13+ years of professional network cabling and Security Cameras Installation experience, Our expertise means we can evaluate your needs and provide the right solution, for today and tomorrow’s networks. We follow the most up-to-date safety regulations and code guidelines to ensure the safety of our network cabling installers and your building. Whether you're a large multi-national or a small start-up company, getting your communication right can be an essential key to success, which is why companies across the Los Angeles choose Digital Surveillance for their Network cabling solutions and high-performance data cabling in Los Angeles. From telephone systems for small businesses to future-proof network cabling services, our specialists have over 13 years of experience providing unrivalled solutions for our clients. When you choose Digital Surveillance for network cabling in Los Angeles, we will undertake an assessment of your needs and create a completely bespoke structured cabling solution . We'll work with you to ensure you get the best possible solution for your requirements. As an independent network cabling service provider of security cameras and network cabling in Los Angeles we offer unbiased advice and select the best products from the world's leading manufacturers, ensuring there's no compromise at any stage of your network cabling installation. Structured Cabling, Data Cabling and Network Cabling in Los Angeles : We're committed to providing the most efficient and effective network cabling for our Los Angeles clients, as poorly structured cabling can clog up your network and reduce performance across your entire system. Whether we're installing voice lines as part of telephone systems for small businesses, or data cabling to support your expanding IT infrastructure, you'll find Digital Surveillance are one of the most competitive names for Security Cameras Installation and network cabling in Los Angeles.